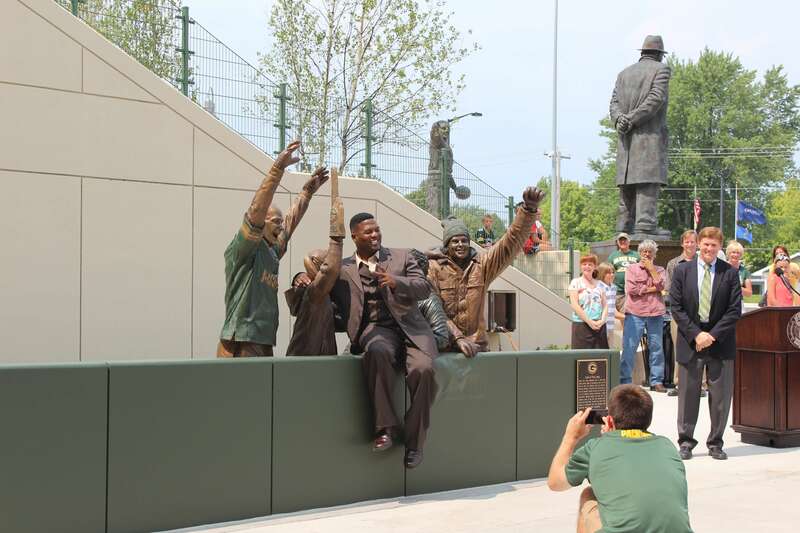 Since that frigid December day in 1993 when LeRoy Butler made a spontaneous leap into the arms of fans, the Lambeau Leap has become a Packers tradition. 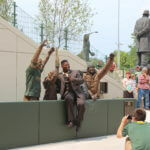 It declares that nothing gets in the way between Packers players and their fans. 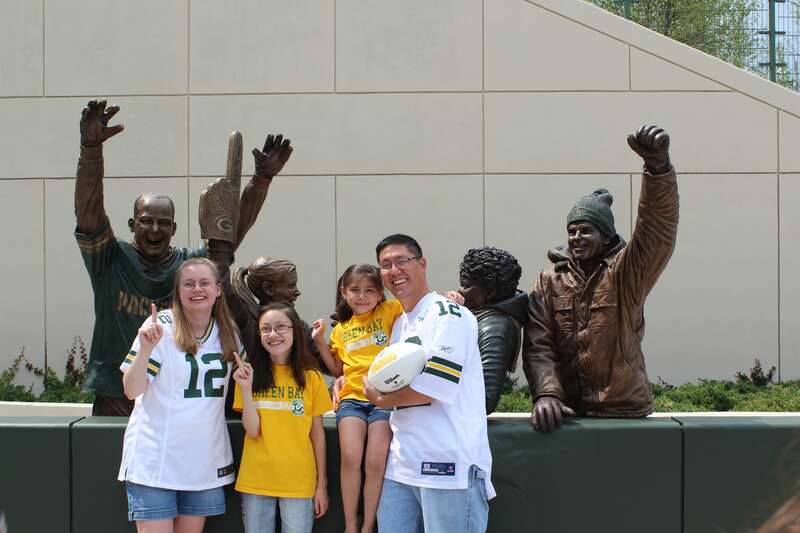 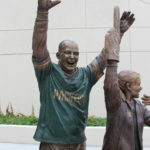 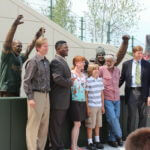 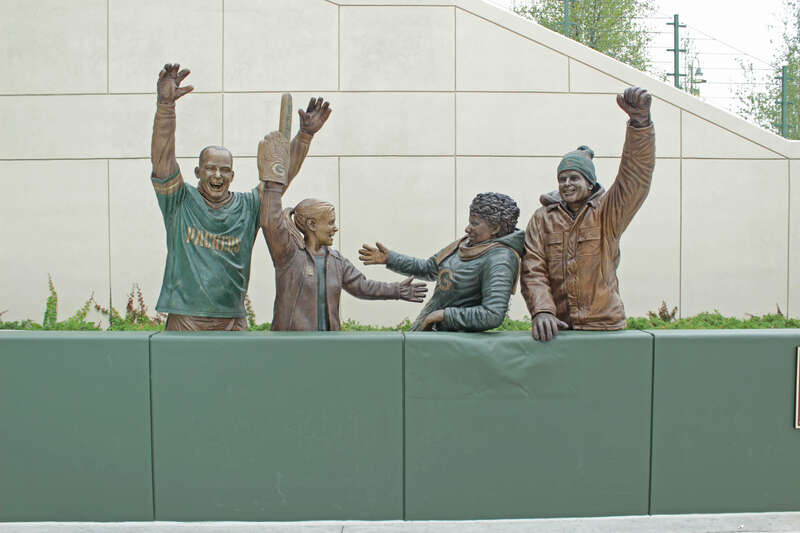 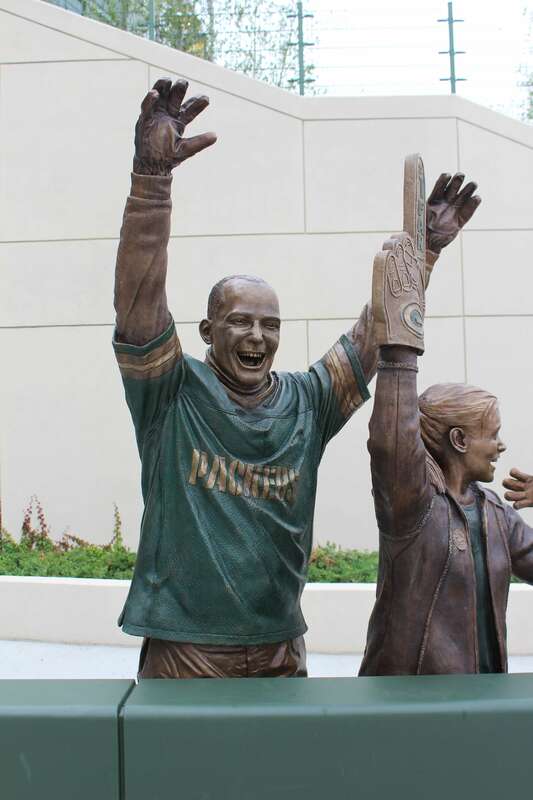 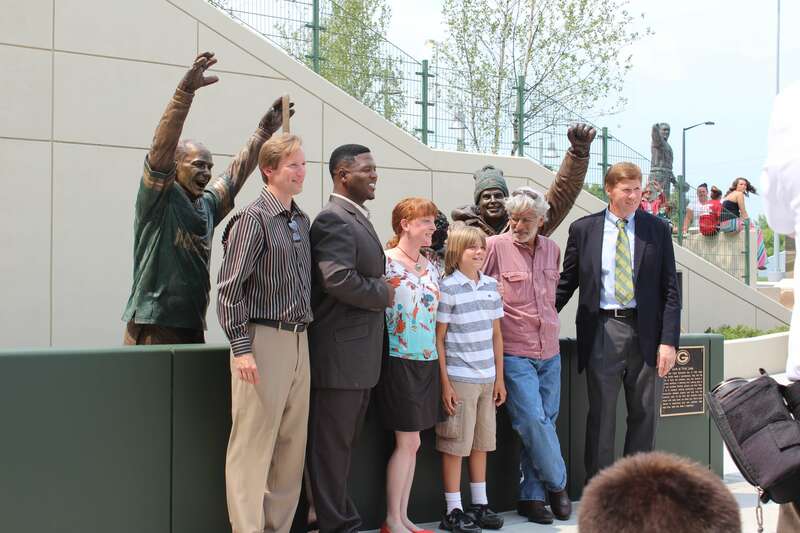 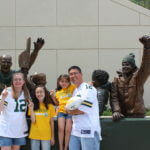 Sculpted by a team of artists from the studio, these life-size bronze figures stand to cheer behind a concrete wall, emulating the infamous Lambeau Leap, giving Green Bay Packers fans a chance to be a part of this historic symbol.